There are two types of phone calls. The first call comes from an Owner / CEO. 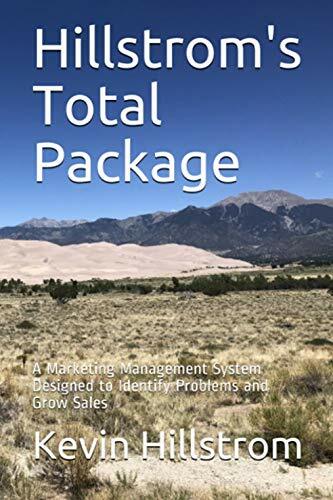 She has a 40 year old business that partially navigated the transition to e-commerce but missed the mobile/social boat and is now dependent upon the catalog co-ops for new names and catalog co-op performance is -15% this year and -40% over the past decade. "Everything else is fine, Buyers would love to have us in their portfolio." 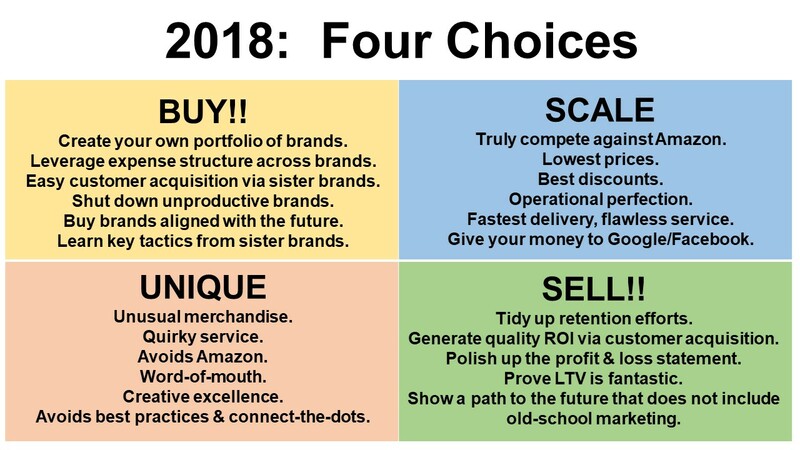 "We're not buying this brand unless there is a future business without catalogs and a fully-developed customer acquisition plan that does not rely upon catalog co-ops, Google, and Facebook." 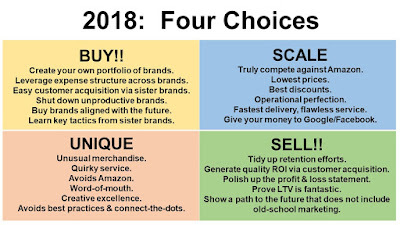 Most of us aren't going to "SCALE" and compete against Wal-Mart and Amazon (and indirectly with Apple / Facebook / Google). Most of us aren't going to "BUY" ... we're not going to become a holding company. Most of us, deep down, don't want to be UNIQUE. Mention Duluth Trading Company to a New England cataloger and the groans will be heard all the way in Southern Wisconsin. Mention Supreme (click here) and you'll hear every excuse in the book why that business model can't work (though it does). So deep down, we don't want to be UNIQUE. Generate quality ROI via customer acquisition. Polish up the profit and loss statement. Prove that Lifetime Value is fantastic (you know LTV down to the penny, right?). Show a path to the future that does not include old-school marketing. In other words, you've got to fix everything. The two biggest problems? Buyers don't want old-school brands in the portfolio unless two things are possible. There is a path to the future (new merchandise, new customers). If there isn't a path to the future, the purchase price needs to be severely discounted to account for the fact that there isn't a path to the future. It's time to pick up a broom and get busy sweeping the dust off the tile.